Nicolás Correa Service, S.A. has purchased another travelling column milling machine in the second-hand market for complete overhauling. This is a CORREA L30/84 milling machine, manufactured in 1995, and which was acquired in northern Europe. This CORREA L30/84 milling machine is designed to meet the machining needs of those sectors which need to machine complex, large format parts. This is a robust, high-quality tool, able to complete a wide range of tasks such as moulds, dies, tools, etc. guaranteeing maximum reliability and performance. 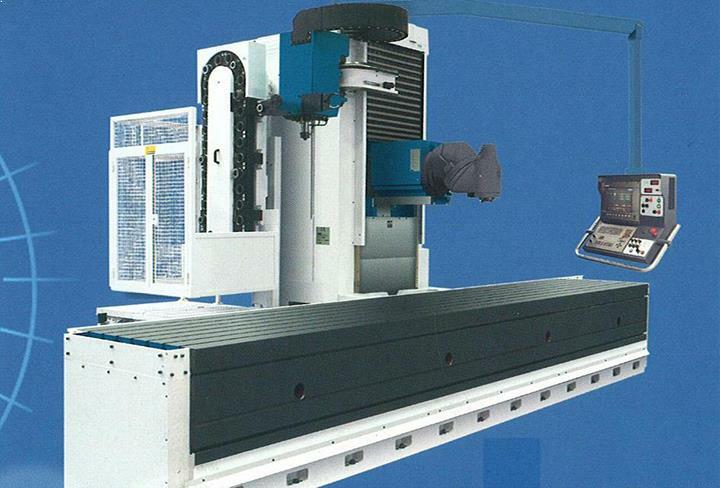 This milling machine features a 10 metre long by 1 metre wide table, with an 8.4 metre travel on its X axis, whilst the Y and Z axes have a travel of 1.2 and 2 metres respectively. Some of its features include: a Heidenhain TNC-415B numerical control, universal head with ground spiral bevel gears and guideways with steel inserts and bronze counter-guides on the Y axis and resin counter-guides on the X-Z axes. This milling machine has been operating up to its sale and is to be fully overhauled over the next few months at the NC Service facilities in Burgos. With the purchase of this milling machine, NC Service has extended its inventory of large format travelling column milling machines.